Named after a Khiledar under the reign of Sikandar Jha during 1803 to 1823, Syed Karimuddin, Karimnagar is one district in Telangana, which has ancient places seeped in historic importance to both Hindus and Buddhists alike. The most popular amongst these is Manthani. Home to the ruins of a Gautameswara Temple, Manthani is a timeless village from an era gone by. On the banks of the river Godavari, it had once flourished as the seat of Vedic learning. Also referred to as Mantrapuri or The Town of Hymns it gets its name from the Sanskrit word Mantra Kutam, meaning House of Mantras. It is also popularly believed that Manthani is home to a thousand Bramhin families, which is why it is also called the Sahasra Brahamana Gadapa i.e. a Thousand Brahmin’s Threshold. Little surprise then that though the temple in Manthani is in ruins today, overrun with a patchwork of undergrowth that is a brilliant-hued green, the town continues to be culturally significant for Hindus. 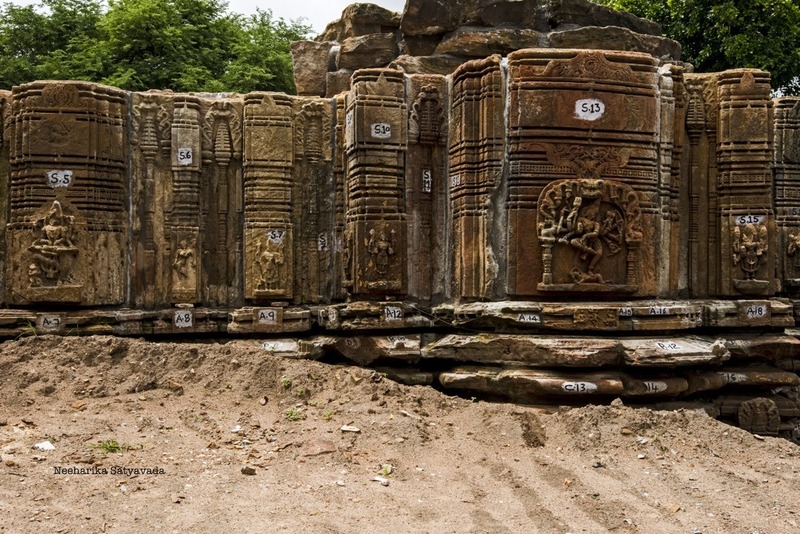 Work is underway to put back the beautiful stone temple of Manthani to how it once stood. Meanwhile there is a new, fully functional temple on the premises. Getting There: The distance from Hyderabad to Karimnagar is around 164 kilometres, but if you take the NH44 via Medchal you will reach the town in less than two hours. Manthani is a further 64 kilometres from here. Route: Once on the road by the village, ask around and get to the ‘temple on the banks of Godavari’. It can get a little tricky, because this one is not on Google Maps. Best Time to Visit: In the rains. Great discovery! Can’t wait to plan a trip this monsoon! Awesome post, and great pictures! Definitely added to the list.